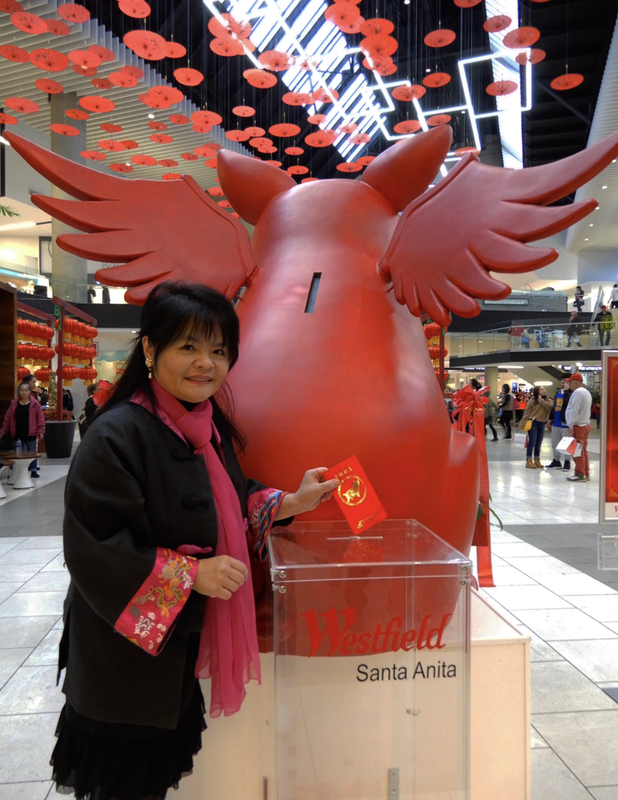 (HOLLYWOOD PRESS CORPS) — JANUARY 29, 2019 — Westfield Santa Anita brought in the Year of the Pig with its seventh annual Lunar New Year celebration. 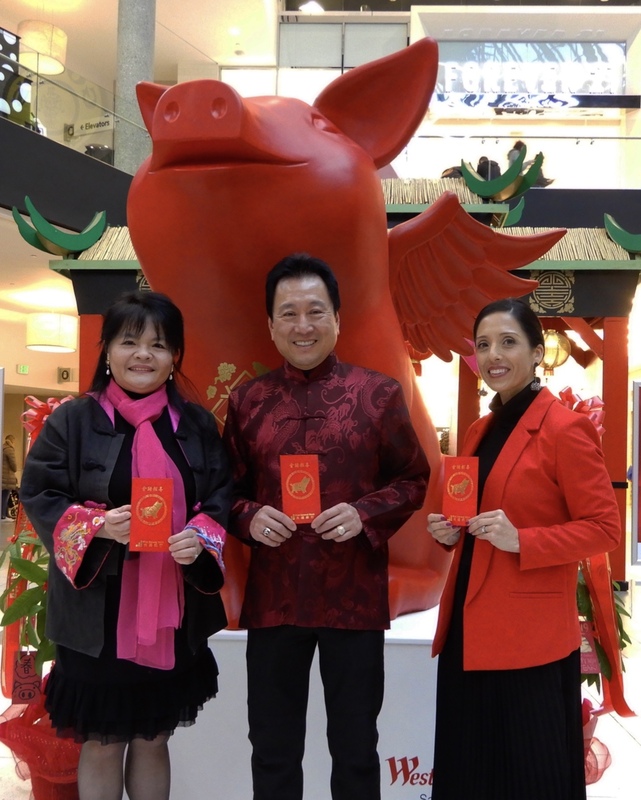 On Tuesday, Jan. 29, Westfield kicked off celebrations with a preview of activities surrounding Westfield Santa Anita’s Lunar New Year festival. 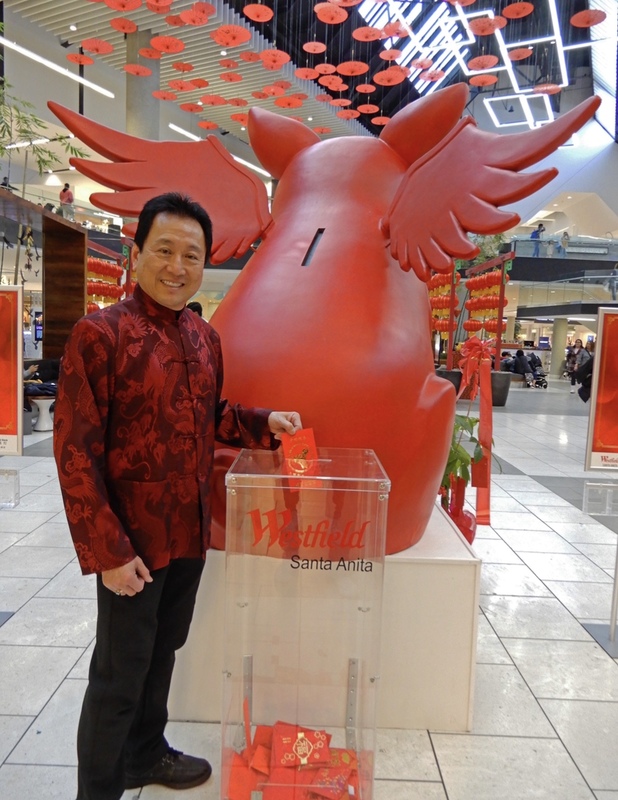 Westfield Santa Anita unveiled a larger than life Lunar New Year “flying piggy bank” statue in honor of the Year of the Pig. There was a blessing ceremony for the installation. Artist, David Flores was on to speak to the press. This year, Westfield Santa Anita’s Lunar New Year celebrations hope to bring a modern fusion to the Center’s annual traditional event. 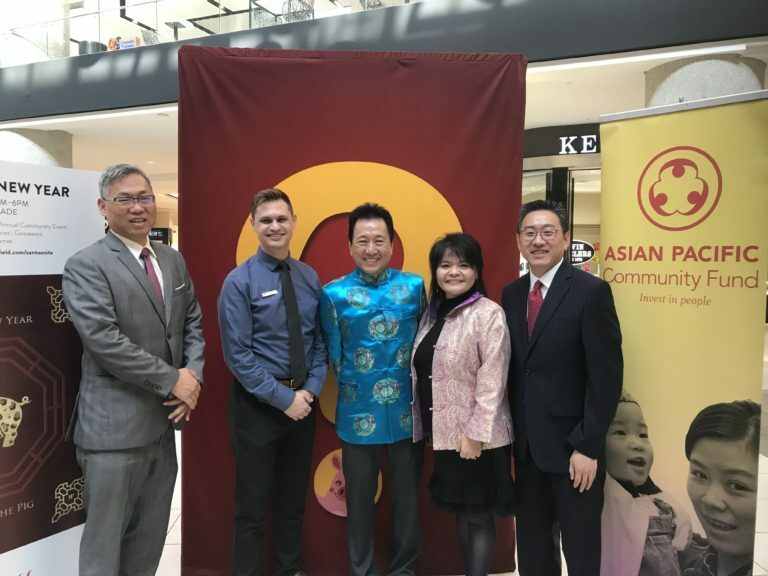 On Feb. 2, the shopping center will host a live concert series of Asian contemporary musical and dance performances, Lion Dances, “red envelope” decorating, Lunar New Year themed artwork, as well as promotions and treats from Santa Anita’s shops and restaurants. 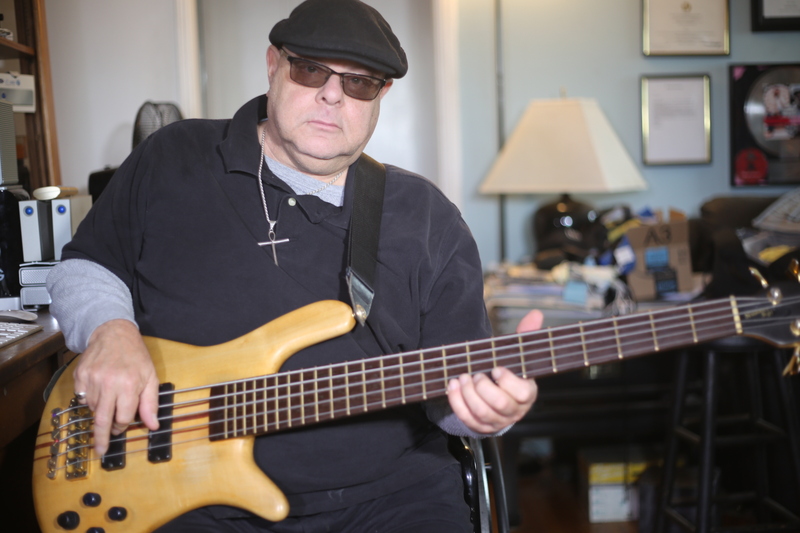 (HOLLYWOOD PRESS CORPS) — JANUARY 21, 2019 — Ultimate Jam Night will present its second annual show at NAMM entitled “Ultimate NAMM Night – The Power of Music” presenter by RCF on Saturday January 26, 2018 at the Hilton Anaheim California Ballroom. 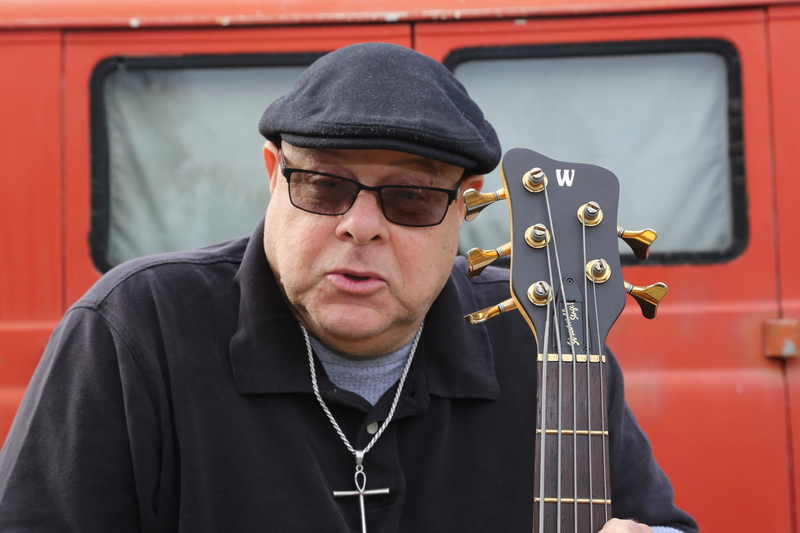 The show is sponsored by DW drums, Ampeg, Mezzabara, Morley, Axis, Wedgie, Gear Secure, Coffin Case, CAD, Rock N Roll Industries, Al Bane for Leather, D’Addario, Fender, and Royal Entertainment. 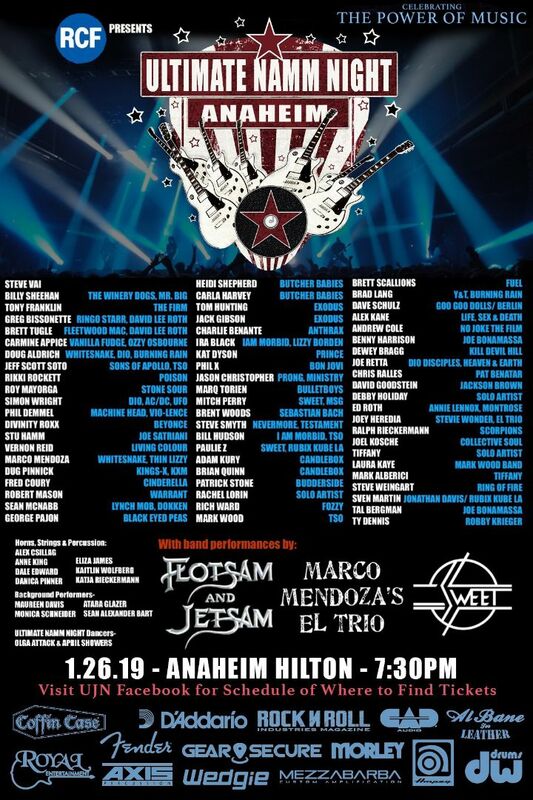 The show will feature performances by an All-Star artist list that includes Steve Vai, Billy Sheehan, Tony Franklin, Doug Aldrich, Phil X, Stu Hamm, Charlie Benate, Rikki Rockett and many more. 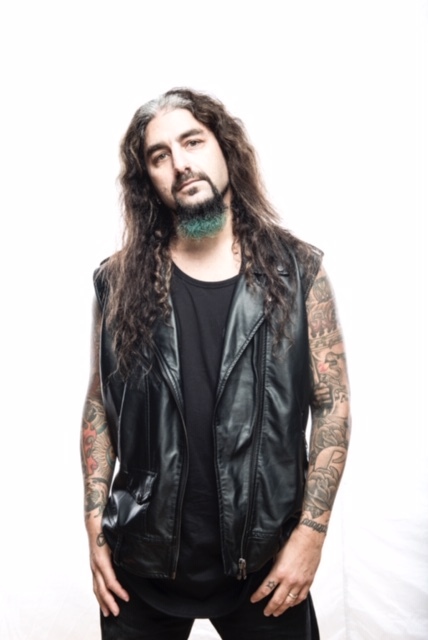 Also included in will be full band performances by Flotsam & Jetsam, Sweet, and Marco Mendoza’s El Trio. Additional performers will be added right up until showtime. 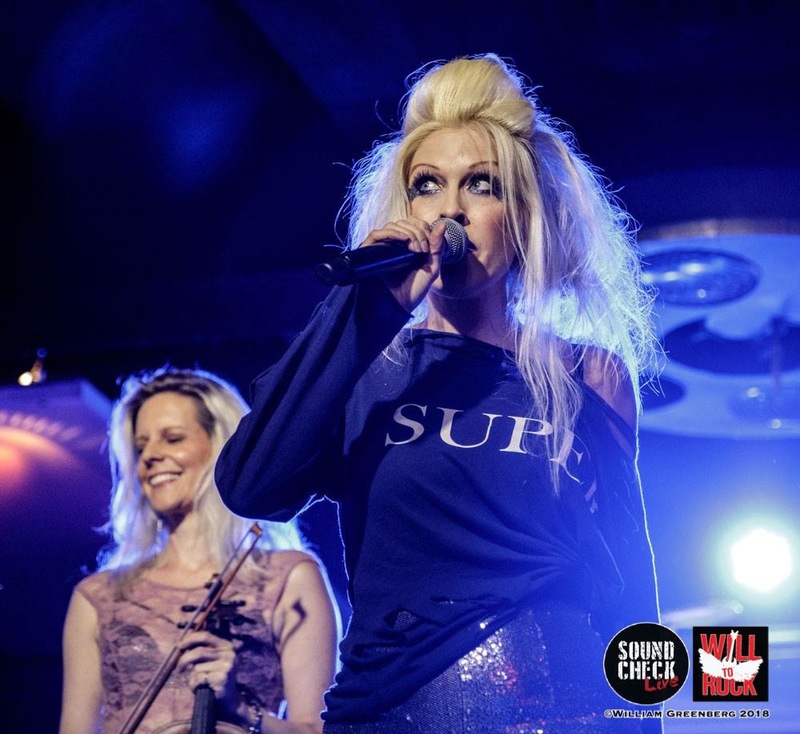 Founded in 2015 by Quiet Riot’s Chuck Wright, Ultimate Jam Night is community-oriented event that features live unrehearsed performances by some of music’s greatest talent, charitable-giving, comedic interludes, walk-around characters, and other entertainers. It is presented each week free-of-charge at the famed Whisky A Go Go in Hollywood, California. For more information please visit facebook.com/ultimatejamnight or ultimatejamnight.com. (HOLLYWOOD PRESS CORPS) — JANUARY 3, 2019 — Kevin “Brandino” Brandon is back! After his near death experience where he says he, “saw the light,” Brandino has been working hard in physical therapy at Kaiser Permenanente. He is currently working on getting out of his wheel chair and using two canes. He’s up to one thousand steps and pushing to get stronger everyday. Brandino is working on so many projects. Its’s hard to go into detail on each one. Kevin will be attending NAMMM this year. 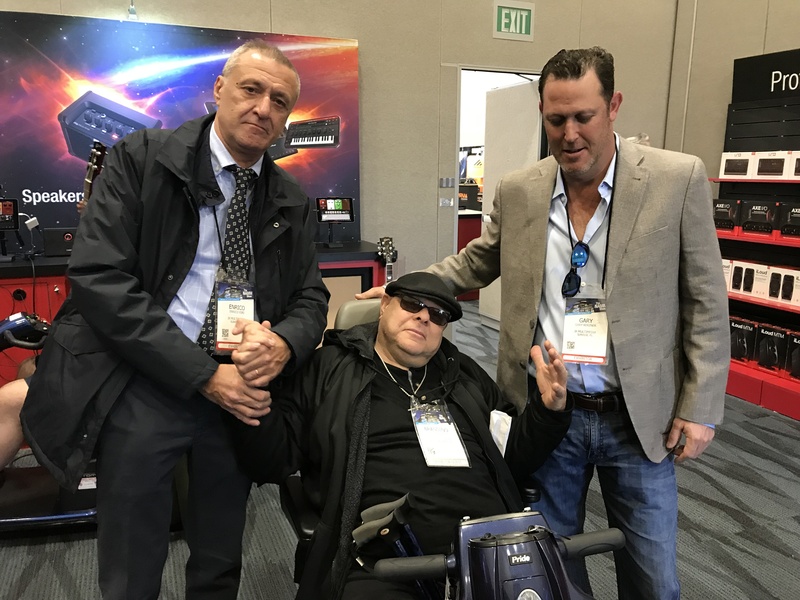 This is the annual National Association of Music Merchants event held at the Anaheim Convention Center. 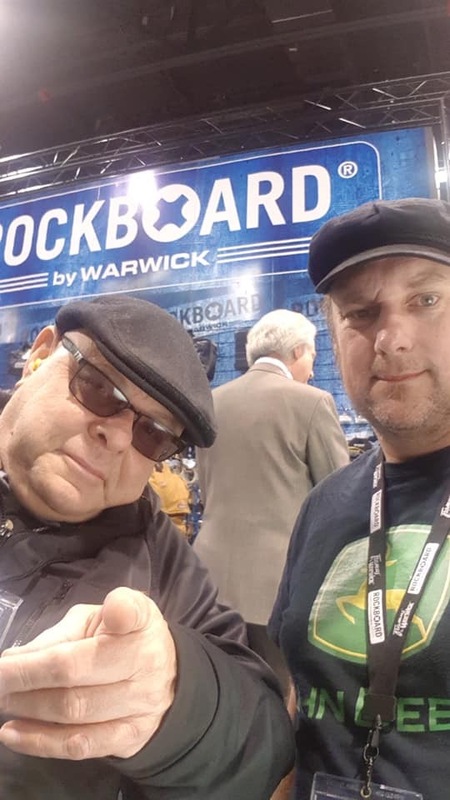 This event is the worlds largest trade show for music products and pro audio. 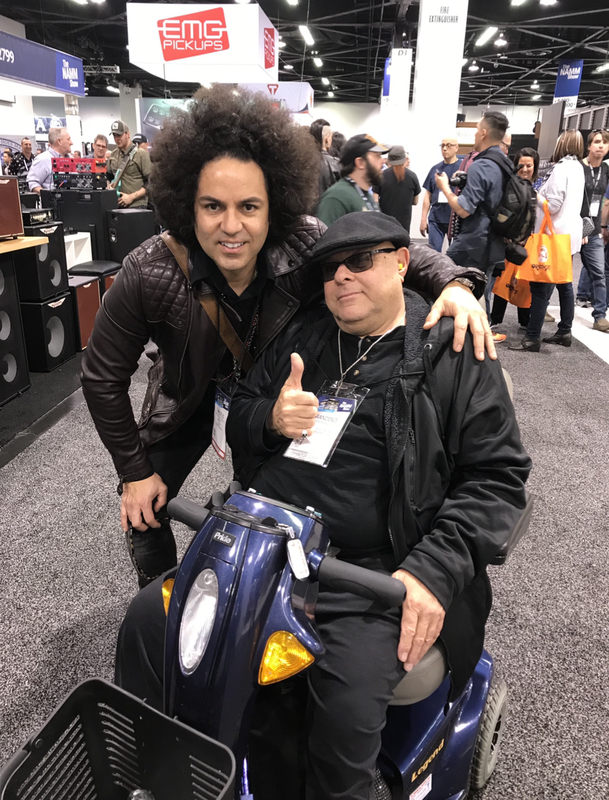 If Brandino is attending NAMM 2019, it means that he has a project to promote. Stay tuned for details. (Hollywood, California) Ultimate Jam Night, the long-running free weekly show presents a unique concert event called “Glam-A-Rama” this coming Tuesday, November 27, 2018 at The Whisky A Go Go. The show is free to anyone 21 and over. 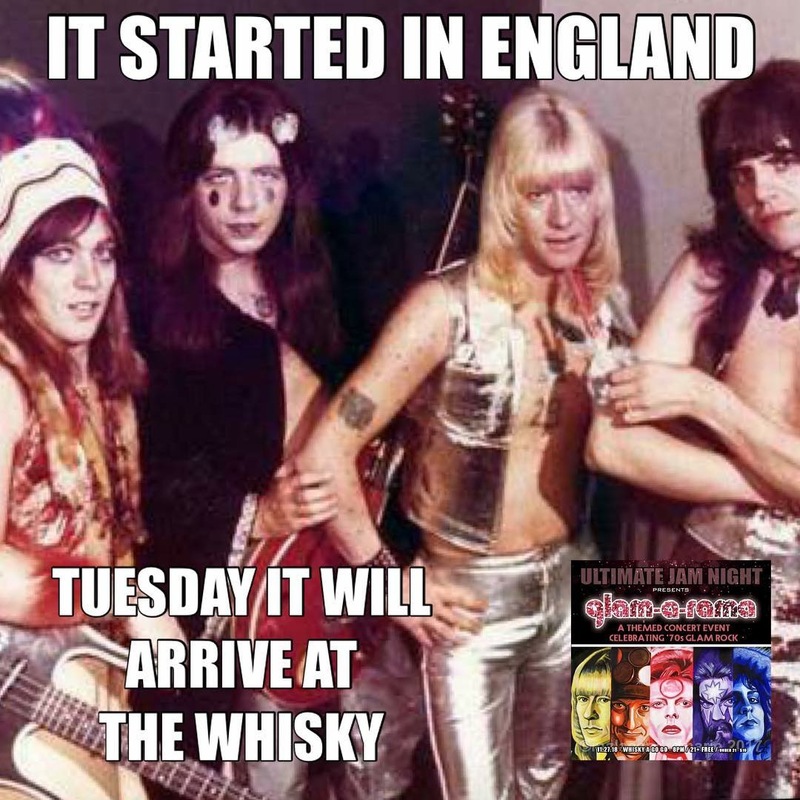 Designed to recall the height of 1970’s Glam Rock period and will feature songs, bands, and artists with an entwined connection to the period. Featured performers include The Sweet. 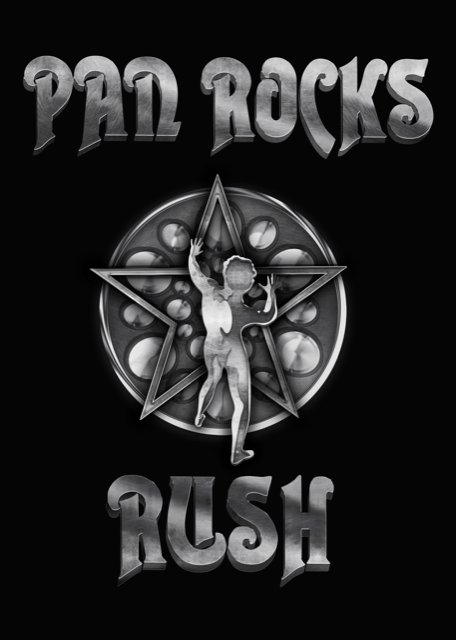 Led by Steve Priest, the band created worldwide hits such as “Ballroom Blitz”, “Fox on the Run” and “Love is Like Oxygen” that became anthems of the era. 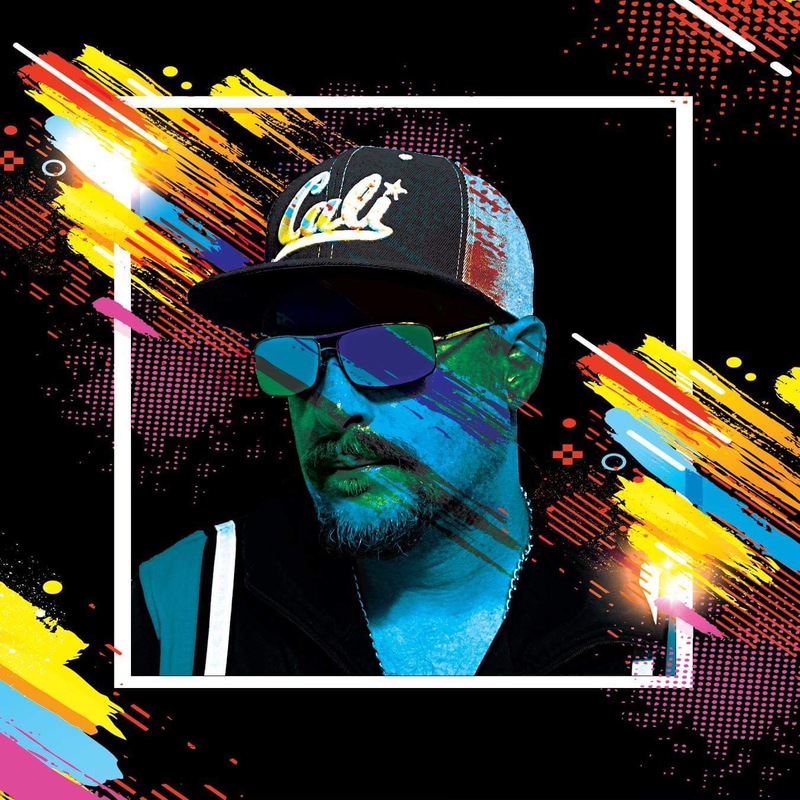 Also participating will be Don Bolles from 70’s era band The Germs who will act as the evening’s DJ spinning songs between live music segments. 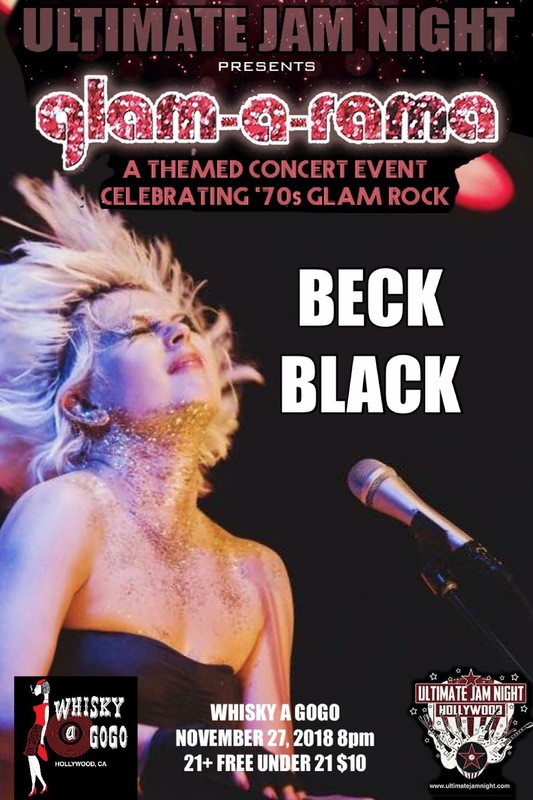 The night will feature artists from numerous bands including modern glam-influenced artist Beck Black of the Linda Perry–produced band JYNX; premiere tribute artists RG Stewart who portrays Rod Stewart, Julian Shah-Tayler who portrays David Bowie, and Kenny Metcalf who portrays Elton John. 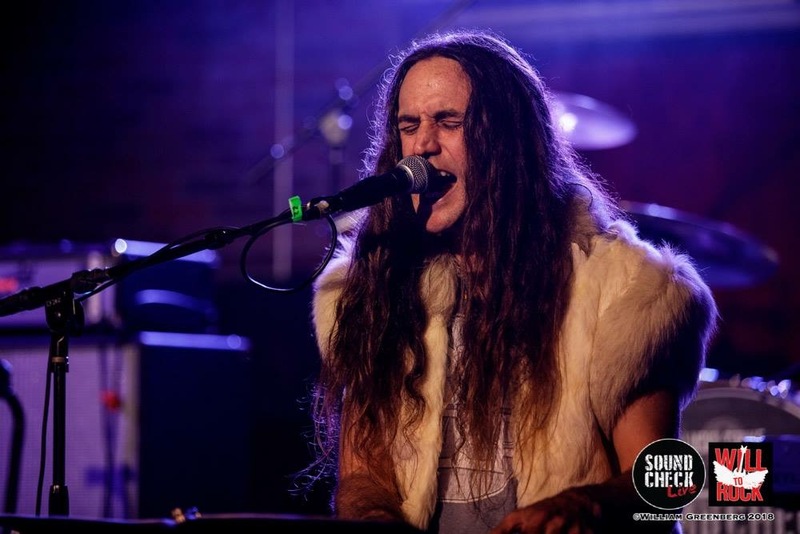 With a goal of literally re-creating a 70’s era theme club, the night will be presented as a total concert experience giving the audience the feeling that they’ve stepped completely back-in-time. Attendees are encouraged to dress in Glam era clothing and makeup, and various prizes will be awarded to those who do. Los Angeles based designer and boutique owner Karen Michelle in association with LYB Events, Destiny Candle, Madam Norma Jean, Mickey Fine Pharmacy and Grill, Softweb America, Cali Distillery, Jackels Collection Beverly Hills, Aleksandra Kulmaticki JP Morgan, Coco Taps, Annipuf, and LRM Publicity present the “6th Annual Love Your Body Fashion Show and Shopping Event.” This much anticipated event is the event of the season and has over a thousand RSVPs! Press check-in is 3:00pm, the Red Carpet starts right on the dot 3:05pm and the Fashion Show starts at 4:00 pm. Confirmed celebrity runway models include: Chloe Noelle (True Blood, & New Girl), Jordyn Curet (Bizaardvark, Child Support ABC), Calah Lane (Kidding), Somali Rose (Raven’s Home), Emmy Perry (Mermaids are Real), Kiana Lyz River (Miss SD Plus America), Kennedy Madison (Seize the Moment), Zaria Kelley (Mirrors), Stacia Gates (Artquench), Samantha Gangal (OMG! ), Brooklyn Robinson (Pineapple), Isabella Leon (The Good Church), Ainsley Ross (Should I do it? ), Kacey Fifield (Game Shakers), Mahkenna Tyson (A Father’s Journey), ELS (Second Chance at Faith), Natasha Blasick (Jean Claude Van Johnson), Terri McDonald (KTLA 5 Morning News), Tara Cardinal (Spreading Darkness), Nataliyajoy Prieto (Spreading Darkness) among others. Confirmed celebrity guests for the red carpet include: Marcus LaVoi (Den of Thieves), Laura & Sarah Bellini (Trust), Jax Malcolm (Crazy Ex-Girlfriend), Connor Dean (9-1-1), Alyssa De Boisblanc (Modern Family),Vida Ghaffari (The Mindy Project), Neil D’Monte (Batman v Superman), Laura Sharpe (Founder and President of Artists For Trauma), Stephanie Rachel (Director of Social Media, Artists for Trauma), actress/models Vanessa Osman, Janelle Hinshaw, Cassandra Tang, Lilian Raven (Founder of Lilian Raven clothing), Kiaundra Jackson, Monica Zaragoza (Ms. California Elite World), Dr. 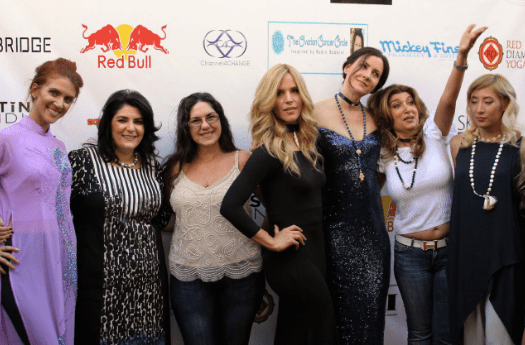 Dawn Mooney (Miss California Alta Dena 2019), Kendal Brenneman (Model/Actress), Matt & Mark Harris (Storage Wars), and many more. 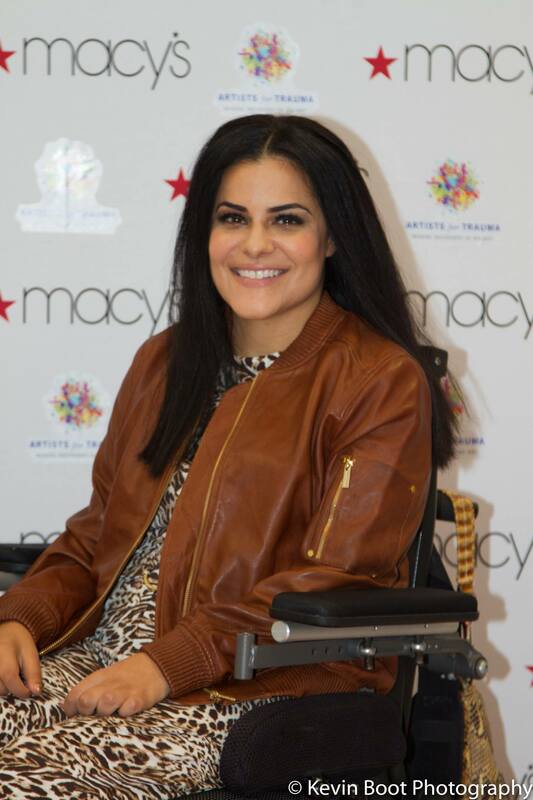 Karen Michelle is a noted fashion designer and retailer on fashionable Robertson Boulevard in Los Angeles that caters to women and girls of all sizes and shapes. She felt the desire to enable women and girls of all sizes and shapes to feel beautiful inside and out and decided what better way than to let them all walk a runway. She came up with the concept of her “Love Your Body” event 6 years ago and went out on a mission to make her dream event and fashion show into a reality.Over the years, Karen has grown her “LYB” event from 100 attendees to well over 600 with countless celebrities in attendance walking her red carpet and even making appearances in her runway shows. Karen chooses a very special charity to involve for each and every event. 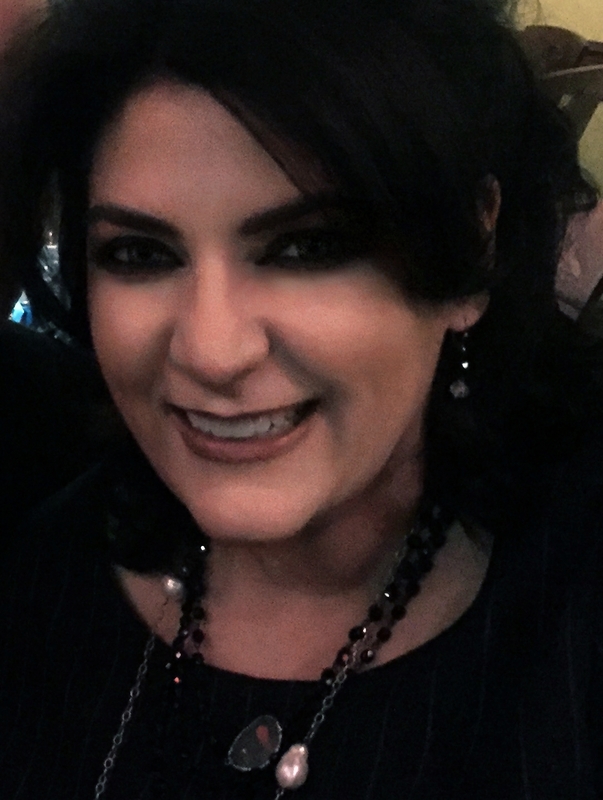 Karen takes great pride in being able to give back to the community and continues to do so in her own whimsical and eclectic fashion creations catering to modern, modest women and girls around the world. She also has a popular line called Destiny Candle by Karen Michelle that she created that has been featured on the Ellen Show, The Hallmark Channel and many other media outlets. (HOLLYWOOD PRESS CORPS) — The Hollywood Press Corps got a chance to cover the 2018 Los Angeles Comic Con! We assigned our two top photographers to look for the best costumes and get a few photos of each genre. With so many subjects to cover, we decided to look out for comics, gaming, horror, anime, film and television! Long time Los Angeles photographers Alex Kluft and Ellen Zuckerman were shooting photos and meeting all of the attendees at LA Comic Con 2018! More than 100,000 people joined Los Angeles Comic Con at the Los Angeles Convention Center. There were so many artists, vendors, people selling comics and collectibles, art, toys, apparel, and everything in-between. There were also events, and meet n’greets throughout the day. Los Angeles Comic Con is for the fans! There are opportunities to see celebrities, meet other fans and see some of the most amazing cosplay costumes ever assembled in one location. The Hollywood Press Corps was honored to cover this amazing event. 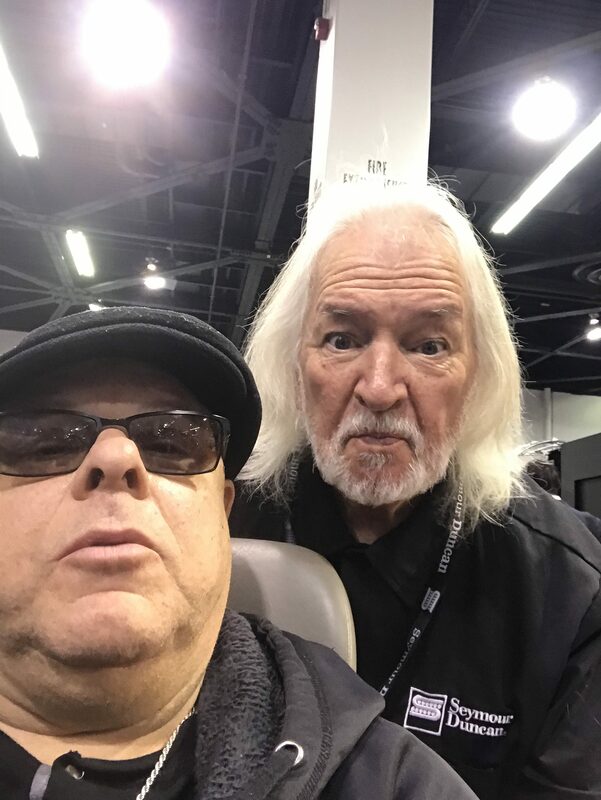 We look forward to Los Angeles Comic Con 2019!